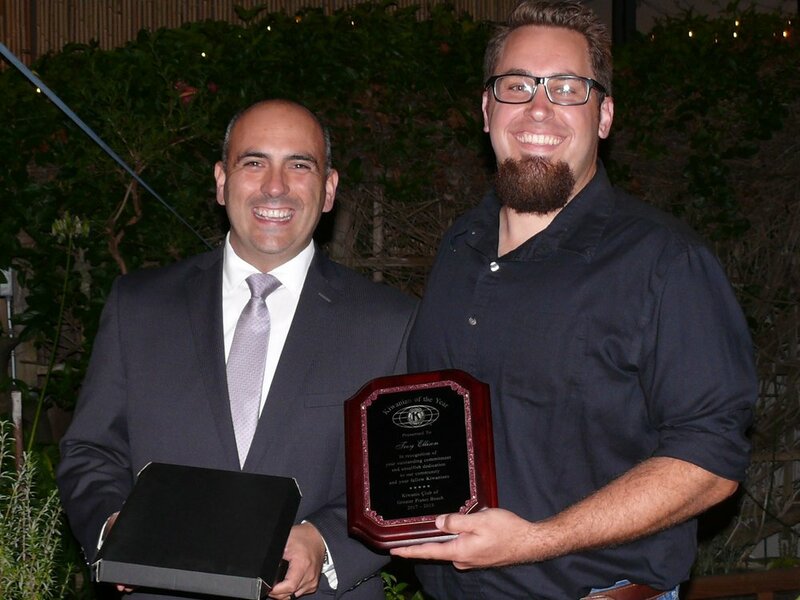 Congratulations to Troy Ellison, Cloacina’s General Manager, for being awarded Kiwanian of the Year for the Kiwanis Club of Arroyo Grande Valley! One member of the club is selected each year and the criteria for the award is typically as follows: The member has to have chaired at least one major event, shown superior leadership in club events and projects, inspired others while working on events and projects, shown initiative in program, event and project development, attended and assisted in meaningful tasks at several events and projects, maintained close to 100% attendance throughout the year, and is an all-around productive member who takes the reins on projects and/or makes a significant contribution in production on an event or project. The Cloacina staff is proud of your hard work and contributions not only to our company but our community as well! CLOACINA IS IN THE LATEST ISSUE OF WINES AND VINES! Read about the 15,000 GPD MEMPAC-I that Cloacina built for the Riboli Family Winery in Paso Robles, CA in the new Technology Issue of Wines and Vines Magazine. The unit provided allows the winery to reclaim 100% of their treated effluent for irrigation and sanitation purposes. Click the image below to read the article. Cloacina is proud to announce that we were selected by the WM Lyles Corporation to provide equipment for Tesoro Viejo, a large-scale, mixed-use development spanning 1,500 acres in southeastern Madera County, California. Cloacina will manufacture a phased, 250,000 Gallons per Day (GPD) package wastewater treatment plant that is capable of scaling up to 500,000 GPD in the future. The MEMPAC-M and Drypac equipment provided will allow the development to reclaim 100% of their treated wastewater for irrigation purposes. Stay tuned for more information about this exciting new project! TWO MORE WINERY PACKAGE PLANTS SHIPPED! Check out our newest time-lapse video that shows units for Herzog Wine Cellars and a winery in Livermore, CA being prepared for shipping and then loaded onto flatbed trucks for delivery at our clients’ facilities! Cloacina is proud to announce that we just closed escrow on the one acre parcel next door to our current manufacturing facility! Coming soon: An 18,000 sq. ft. manufacturing annex to allow us to meet future production needs and tighter construction schedules! Protecting the environment and our water resources is one of the driving forces behind every decision that is made at Cloacina. Based in CA, a state often facing drought conditions, Cloacina understands that EVERY DROP OF WATER COUNTS! We manufacture package wastewater treatment plants that allow clients to reclaim up to 100% of their treated effluent for irrigation and sanitation purposes. Cloacina is proud to launch our new environmental video series and give you a peek into how our employees do their part, every day, to protect our water resources! We are proud of our newly-installed solar project! Check out the video below to see another way we are doing our part to protect the environment! Nearing completion on the factory floor is a Mempac – I package wastewater treatment plant designed and manufactured specifically to treat winery process waste. This unit is capable of treating 25,000 GPD. Cloacina’s winery models treat high-strength winery waste with various flow ranges and discharge requirements and produce high-quality effluent suitable for reuse. All tankage and equipment skids are fabricated from stainless steel to facilitate long-term treatment while maintaining the high aesthetic standards of wineries. The energy-efficient winery models are designed to handle the cyclical organic and hydraulic loading associated with wine making. An integrated pH adjustment system automatically controls pH levels and the SCADA/controls package allows personnel to monitor and make changes to the system through any device with an Internet connection. The system is scheduled to be operational by the end of April. Stay tuned for installation and commissioning details!